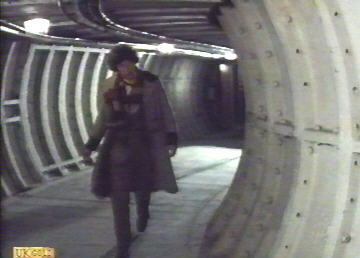 Around 18 months after Pennant Roberts directed Survivors: The Lights of London part 2, he returned to the Camden Town Deep Level Shelter to shoot scenes for this Doctor Who story. 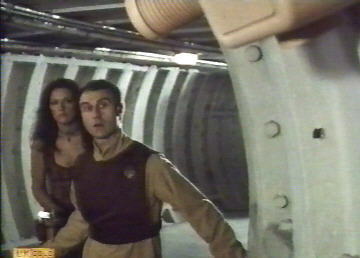 Written by Robert Holmes - reputedly after receiving a particularly severe demand from the Inland Revenue - The Sun Makers featured the future remnants of human race living on Pluto, subjugated by a excessively punitive and all-powerful tax system, and living under constant surveillance. 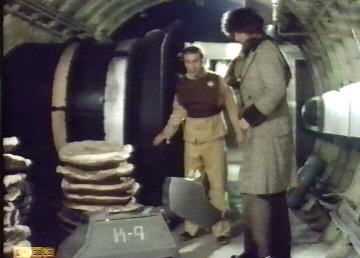 Well, two out of three wasn't a bad prophesy, was it?! 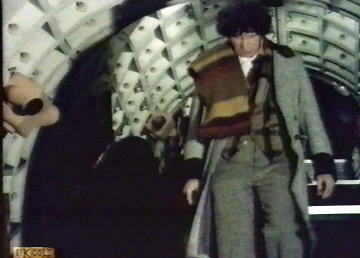 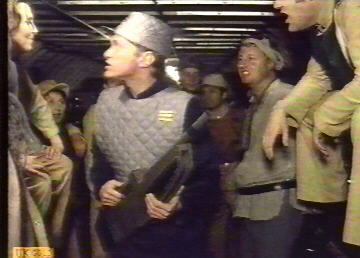 Naturally the Doctor (Tom Baker in big coat and long scarf) and his then-recent companion Leela (Louise Jameson is skimpy animal skins) soon have a rebellion brewing quicker than you can say, "no taxation without representation," aided by a motley band of malcontents living in the service tunnels under the planet's surface. 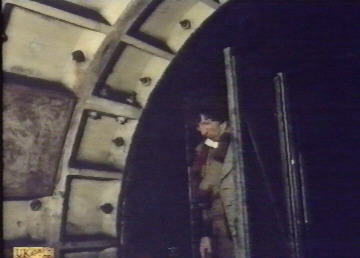 For once, such an ambitious localé was realised more convincingly than the usual wobbly sets at TV Centre, thanks to the Camden Town DLS! 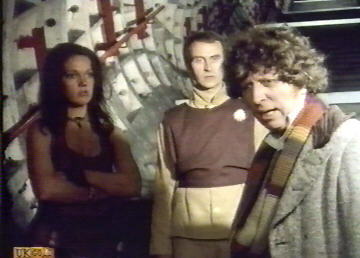 Two years later, BBC cameras returned to the DLS for Blake's 7: Ultraworld [10/03/80 BBC1]. 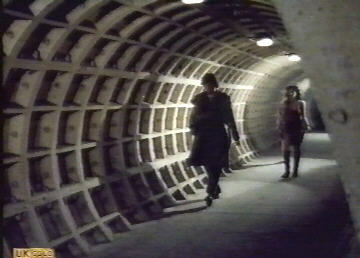 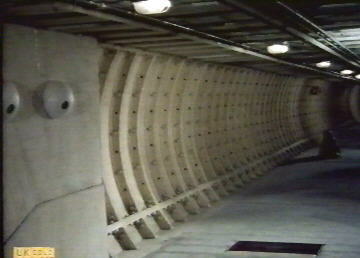 ... the steps from the "Camden Town" station platforms down to the Deep Level Shelter. 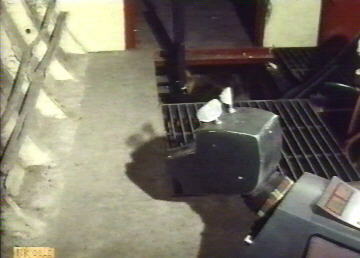 The yellow box-like objects on the wall are props added by the programme-makers, representing surveillance cameras. 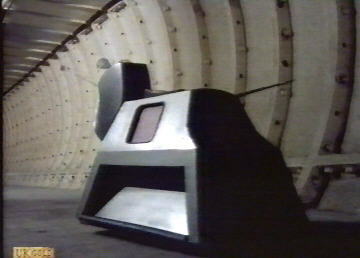 Bungle-from-Rainbow-voiced smartarse robot dog turns up to save the day. 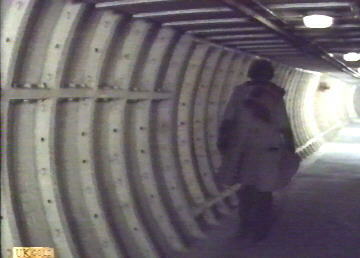 As usual. 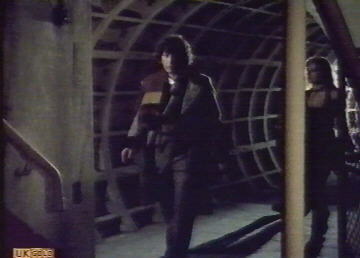 More set-dressing in the form of the block structure in the left-hand picture. 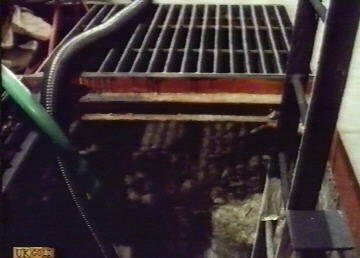 This is apparently one of the DLS's sumps. 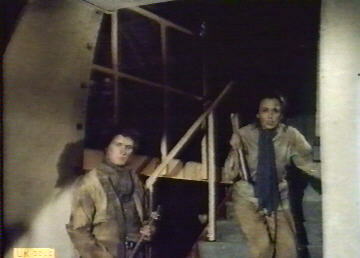 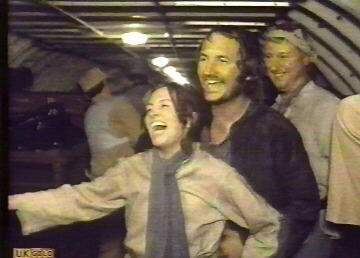 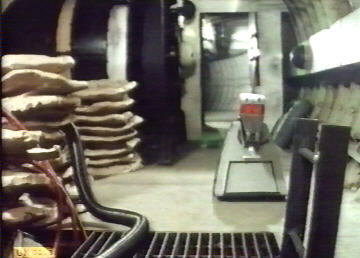 Although not entirely clear, this short segment in the last episode was shot in a part of the shelter proper, where the bunks remained in situ.